LockView 3 is for use with 100 Series eLocks only. LockView makes it easy to view audit trails for the last 1,500 access attempts, manage users and eLocks, assign time-based restrictions and dual credential access. LockView 3 is for use with 100 series eLocks only. LockView makes it easy to view audit trails for the last 1,500 access attempts, manage users and eLocks, and assign time-based restrictions and dual credential access. 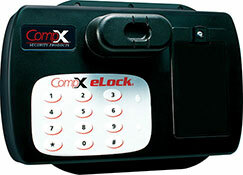 Programming can be performed on the eLock or through LockView 3. 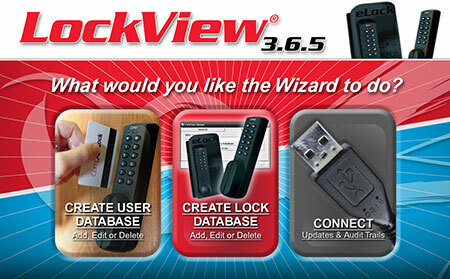 To assist with LockView programming, the LockView Wizard will guide the administrator through setting up user and eLock databases, and connecting eLocks. LockView administrator will be able create a database of up to 250 unique users on a local computer. 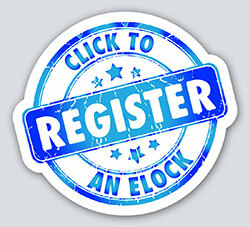 These users will then be granted Access Rights to a database of eLocks. Each eLock can hold up to 1,500 audit trail events. The information contained in an audit trail includes the eLock’s name (i.e. 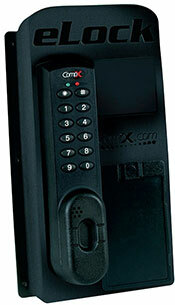 location), the name of the user attempting to gain access, the type of credential used (i.e. PIN), if access was granted or denied, and date and time of event. This information can be filtered and sorted by specific attributes. Once an audit trail has been retrieved from an eLock, it can viewed, deleted or archived. Downloading and uploading information is simple. Attach one end of the RJ-11 cable (included with LockView 3 software cd) to the back of the CompX eLock® and the other end to a laptop computer with LockView open. The administrator can chose to connect manually through LockView or have the LockView Wizard assist with connecting. 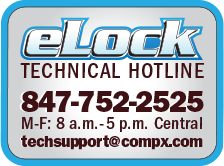 Download LockView 3 software manuals for more detailed instructions.